I don't know if all the other households of young boys share this problem with us, but we have Legos all over our house. I try to keep them corralled in baskets and boxes of various descriptions, and generally they stay in the playroom -- which is actually our dining room, but we converted it years ago and it probably won't be a dining room again for 10 more years. 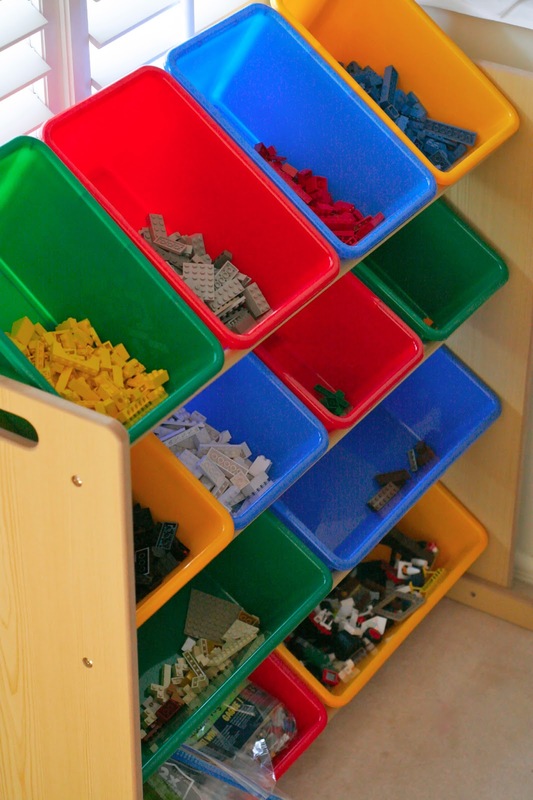 At any rate, we have baskets and baskets and boxes and boxes of loose Legos. 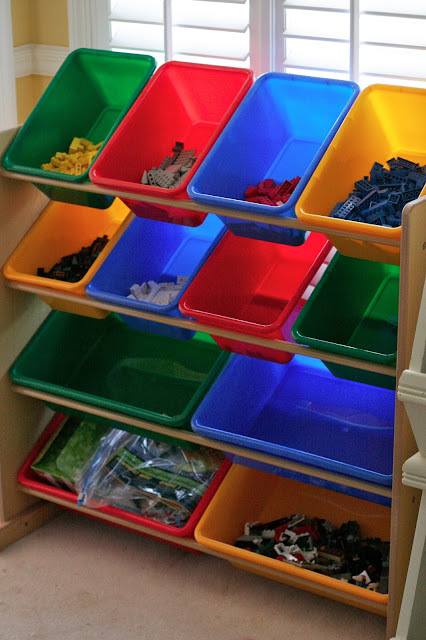 Not to MENTION the Legos that litter tabletops in several rooms. Some of our tables look like Lego graveyards. At any rate, I decided that things needed to change. 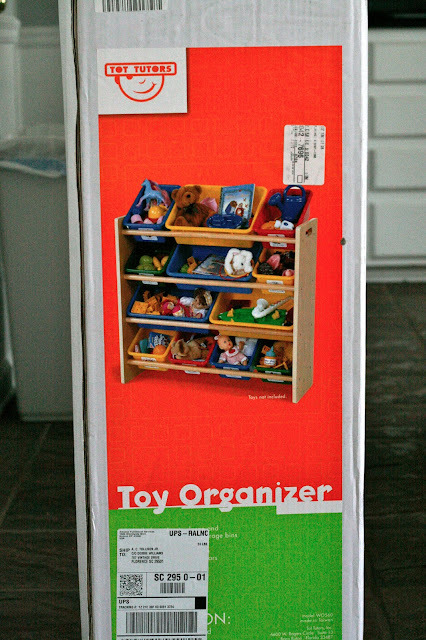 For Christmas, my parents purchased this toy organizer off of Nick's wishlist, which I'd specifically put on his list for Lego storage. I finally put it together a couple of weeks ago, and now begins the long process of sorting. 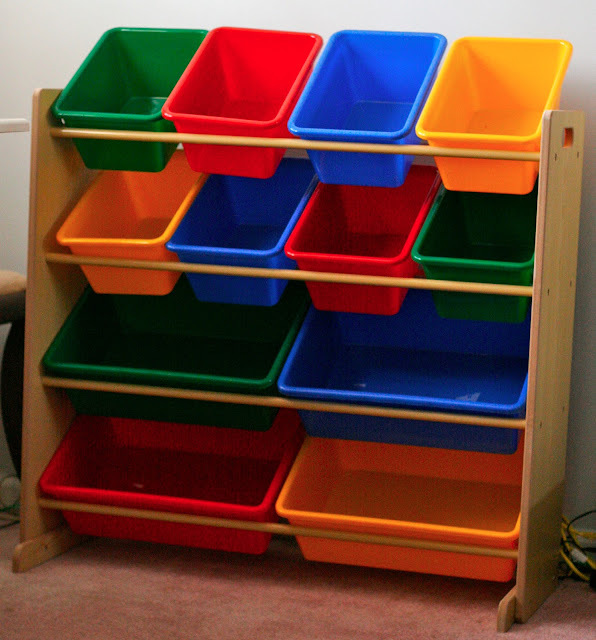 Basically what I've decided is that each of the colors we have the most of will get its own small bin, "specialty pieces" will go in the bottom-right bin, and sets will go in Ziploc bags on the bottom left side. The boys weren't all that excited about helping with this project until we went to BrickFair, but then they decided that this would make creation-building much easier, so now they're on board. We've made a fair amount of progress so far. We still have several containers to sort, but we're LOVING seeing the fruits of our labor so far. We spend maybe 20 minutes a day in there before bedtime, and it's amazing how much you can get done in that amount of time. 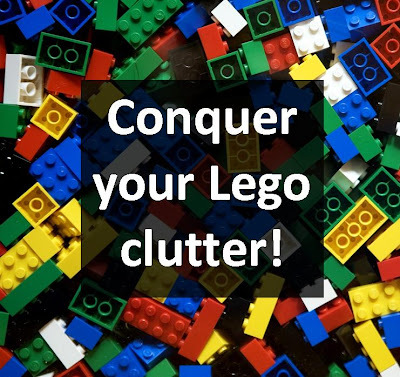 I have to say, it's strangely therapeutic to sort Legos ... I can go into sort of a trance while I do it. I suppose that's the OCD talking. At any rate, if you have this kind of "problem" in your home, this is a workable solution.